Hello! 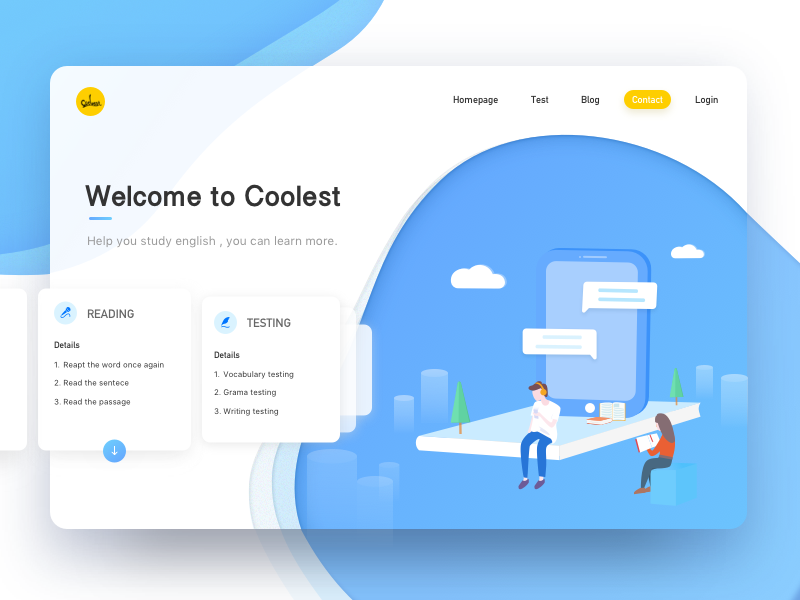 This is an educational website design. It is inspired by my present work, which is related to online English education. I want to try a new illustration style while doing the redesign of the website I’m working on — hence, this sample. Hope you like it.